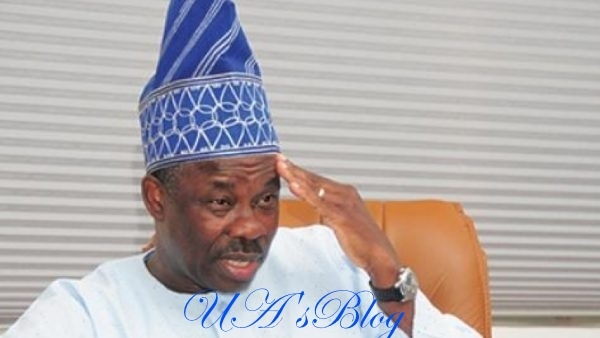 President Muhammadu Buhari’s easy ride to Aso Rock is about to suffer a huge setback, as Labour Party in Ogun State has confirmed ongoing discussion with Governor Ibikunle Amosun-led faction of the All Progressives Congress (APC) in the state over the governorship ticket of the party. This followed rumoured plan by Amosun’s anointed governorship candidate, Adekunle Akinlade’s defection to the party to actualise his governorship ambition. The chairman of the party, Abayomi Arabambi, revealed this while featuring on a radio programme monitored by DAILLY INDEPENDENT. Although the Independent National Electoral Commission (INEC) has published the name of one Modupeopla Sanyaolu as the candidate of the party, Arabambi said that the candidate of the party would come from Ipokia Local Government Area. While Sanyaolu is from Abeokuta South Local Government, Akinlade is the only known aspirant from Ipokia Local Government. The chairman explained that the party still has the constitutional right to substitute the name before the electoral umpire. He said, “There is hope for Triple A (Akinlade) and others, the constitution allows for substitution and I think we are still in tandem but nobody would tell me we have pseudo names. “What we are saying is that, it is open to all political parties, when you have some parameters being satisfied in your political party, you’re satisfied to substitute so far it is still within the window. “In the next two weeks, we are going to reveal and unveil our candidate from Ipokia Local Government, we have so many good hands in Ipokia, we are going to Ipokia for our governorship, it is sealed, signed and delivered.